The results of a new scientific study showed that the Angiotensin II receptor agonists halt the progression of Diabetic nephropathy into more severe stages. 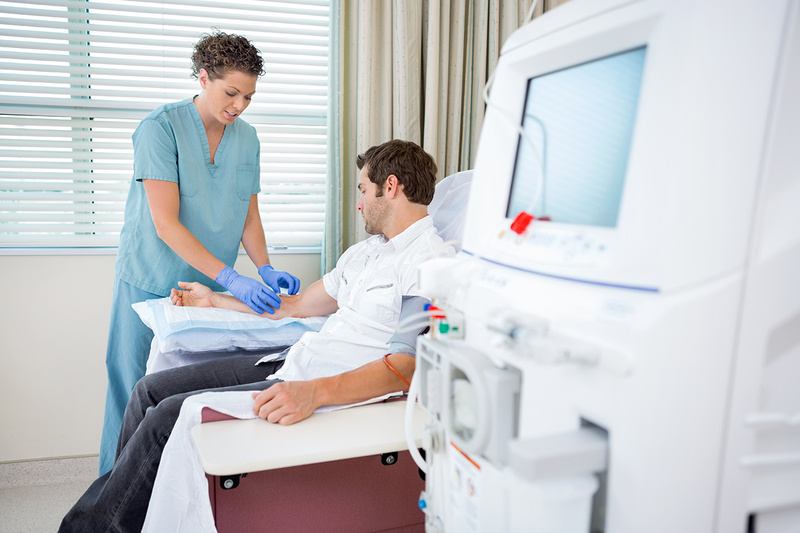 Previously, those who presented its initial stage or microalbuminuria were doomed to have their kidney damage progress into the more severe stages of the disease (ESRD), where those affected need dialysis for life or a kidney transplant. Diabetic nephropathy, or Diabetes related kidney disease, is the worldwide leading cause of chronic renal failure and is caused by an inadequate control of blood glucose levels that has been going on for several years. In a scientific study conducted by researchers of the University of California, led by Dr. Susanne B. Nicholas, director of the Nephrology and Endocrinology Division of the Medicine Department of the David Geffen School at the University of California Los Angeles, the renal protective effect of the drug Losartan was demonstrated, which is a Angiotensin II receptor antagonist, by blocking the Renin-Angiotensin system (RAS) in Pima Indians, who represent the ethnic group with the highest Type 2 Diabetes and Diabetic nephropathy incidence in the world. 65% of all Pima Indians aged between 45 and 74 have diabetic nephropathy. What is Diabetic Nephropathy and how does it occur? The kidneys are organs that contain millions of tiny blood vessels called glomeruli, whose function is to filter toxins, removing waste products from the blood through urine. Diabetes, when not adequately controlled for several years, damages the function of glomeruli in the kidneys. In addition, a fibrous tissue is formed in the capillary walls (basal membrane) which also interferes with the filtering process, which is why waste substances aren’t removed and accumulate in the blood, while other substances which are necessary for the body such as proteins, are “drained” through urine. Gradually, this damage leads to renal failure, where the kidney almost can’t remove toxic substances and at that time, if the problem isn’t dealt with, waste substances accumulate so much that they become “poisonous” and can cause death. At this stage, those affected have to undergo lifelong dialysis or a kidney transplant. The earliest stage of incipient nephropathy, is the transition from normoalbuminuria to Microalbuminuria, which the glomerular filtration rate (eGFR) is also affected. The appearance of Macroalbuminuria and Proteinuria and a worsening Glomerular Filtration Rate (GFR) are strong predictors of the terminal stages of renal disease (ESRD) and death. How was this study conducted and what were its results? In this study, which lasted six years, 169 PIMA Indians were involved, who were randomly divided into 2 groups. One was treated with a placebo, while the participants of the other group were given the drug Losartan. All participants were PIMA Indians aged between 18 and 65 who’d had Type 2 Diabetes for at least 5 years and with normoalbuminuria (Albumin/creatinine levels of less than 30 mg/g) or Microalbuminuria (Albumin/Creatinine levels of 30 mg/g to 299 mg/g). The primary marker in this study was a decreased glomerular filtration rate or eGFR at <60 ml/min as ½ baseline with GFR <120 ml/min. The secondary markers were the difference in structural changes of extensive analysis done to examine the glomerular volume, filtration surface density area, fractional interstitial zone area, the width of the glomerular basal membrane and the number of endothelial and mesangial cells. In this study, whose results were published in the journal Diabetes Care, the use of Losartan was shown to block the renin-angiotensin system (RAS), stop the progression of microalbuminuria into more severe stages of kidney disease and also significantly reduced the risk of glomerular filtration rate (GFR) impairment, through which the appearance of final stage renal disease (ESRD) was avoided, where those affected require lifelong dialysis or a kidney transplant. Several scientific studies done by recognized clinics had already shown that blocking the renin-angiotensin system (RAS) prevents the progression of microalbuminuria to macroalbuminuria and Proteinuria, however previous studies have also shown that blocking the RAS doesn’t prevent the occurrence of the initial step of diabetic nephropathy, i.e. microalbuminuria. Poorly controlled Diabetes is the leading cause of kidney damage and chronic renal failure. 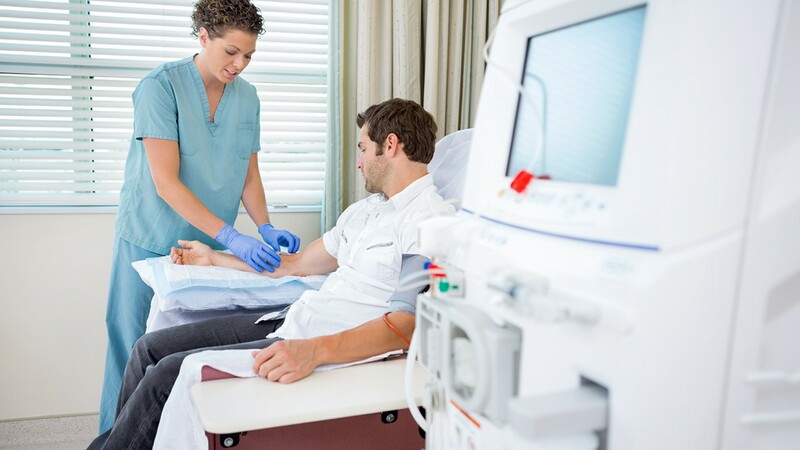 The progression of renal damage into its terminal stage, causes a lot of suffering and represents a negative economic impact on those affected, who are have a higher cardiovascular disease and premature death risk, and must undergo lifelong dialysis treatment or a kidney transplant. This study showed that Angiotensin II Antagonists (Losartan) can halt the progression of kidney damage into its more severe stages, but it doesn’t prevent the onset of microalbuminuria which is the initial stage of diabetic nephropathy. However other scientific investigations have shown that adequate blood glucose and Hemoglobin A1c levels control can prevent the onset of chronic complications, including diabetic nephropathy, even before it develops into its earlier stages. At Diabetes Up to Date we encourage the prevention of kidney damage, even before Microalbuminuria appears, but also welcome the results of this new study, which showed that the use of this drug halts the progression of kidney damage in those who already have microalbuminuria, and who were previously doomed to the progression of kidney disease into its most severe or terminal stages.